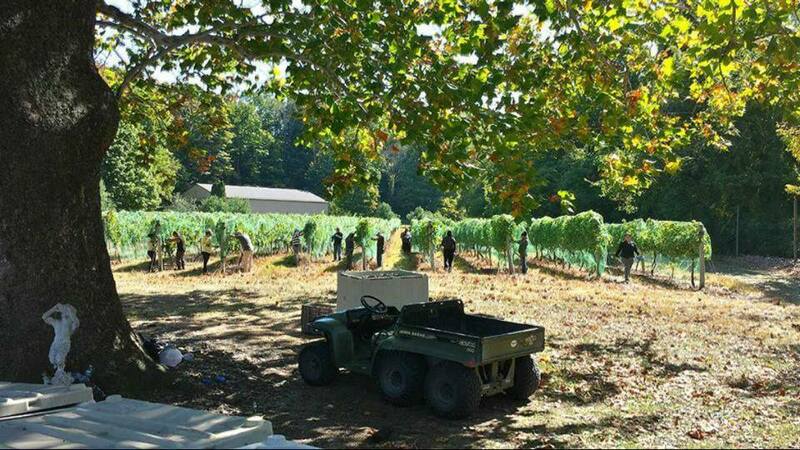 Continuing with the harvest, Jan Palaggi of Palaia Vineyards Winery talks about what harvest means to her and the winery. 1. What does Harvest mean to you? 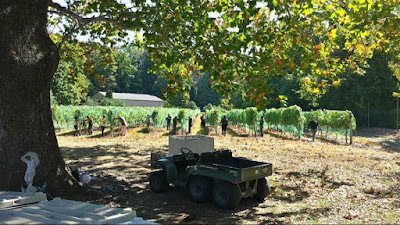 It is a time of joy for me – after nursing all those vines for the entire spring and summer, pruning, tucking, spraying, tucking and more tucking, it is finally time to reap the rewards of all that work. To see those clusters and taste the sunlight in the grapes while you pick them….it is pure joy. 2. What are factors in knowing when is the right time to pick the grapes? After years of experimenting and reading about when to pick – it comes down to weather and signs of ripeness. We test for sugar in the grapes, and if the seeds inside are browning, and if the skins are still firm or too firm or wrinkled from lack of water. If you get too much water, you get watery wine, but if you have wrinkles…you get “Crimson Clove” which is our Holiday wine and has a slight raisin taste and is sweet and that is from not enough water. If a hurricane is coming…pick the grapes. I went thru 2 hurricanes and lost one entire crop, but saved the other. 3. 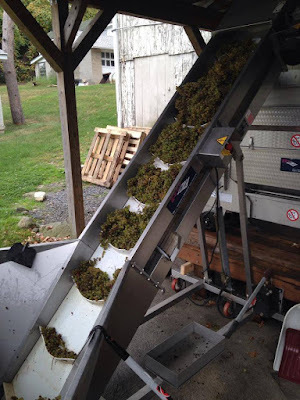 Once the grapes are picked, what is the process of getting it from vine to bottle? to it, or how to blend it with another wine to get the right flavor. It is then approved by the winemaker, filtered, another test for S02 to make sure it will be stable and then into the bottle it goes. Simple, right? October. We have processed in the rain, sun and even snow. When the grapes are ready, they are ready. We answer questions and enjoy talking to people as long as they do not get in the way of the tractor so they do not get hurt. We have a Harvest Festival the 24th of September, 12-6. Grape stomping, pumpkin decorating, hayrides thru the vineyard, and of course a great band on the outside stage. We have local vendors of all kinds on the lawn, beer, food, cider, doughnuts, and a bounce house for the kids. $10/person and kids are free. It is our last outdoor event for the year and so we really have a great time. Then, at night we have another band for the adults from 7-10 inside for free.